It's political season - from now until November, which is a very long time. This year, I am slightly amending the policy on comments. If you post a comment on a political article, you must state your full name - first and last. Based on previous years, I'd like to remind you that political candidates are people. They are your neighbors. Their children go to our schools. They shop at our grocery stores. They go to our churches. To paraphrase something I heard Bill Clinton say - we have to get over the notion that we have to dislike people we aren't voting for. I remind you that comments are to be civil and as Editor, I reserve the right to delete any comment that goes over the line. Over the years, there have been many thoughtful, informed comments on many topics that I have very regretfully deleted because the last sentence was an insult. It's always the last sentence. I can't edit comments - it's all or nothing. So let's move forward with thoughtful dialog. And remember that comments are opinions. How much of what is expressed is fact, you will need to check for yourself. Diane, it would have been nice to have known about this new policy a couple of days ago when I posted my rejected comment advocating that people vote no on the school levies this year. One of the outcomes of the McCleary deal was that the Legislature slashed the levying power of local school districts. School districts are flying blind right now without sufficient financial guidance from the state on how much additional funding will be coming their way. 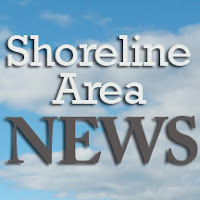 Shoreline School District's response has been to ask voters to approve them right up to the limit of $1.50 without any solid numbers demonstrating that that extreme levy is warranted. In a year when the average homeowner will see their property taxes rise by nearly $1,000 over last year, it's irresponsible to give the District a blank check. In order to get more sensible numbers from the District, first we must reject these levies and tell them to come back with something better.